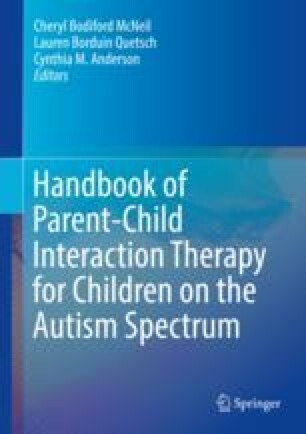 This chapter discusses the use of the second phase of Parent–Child Interaction Therapy (PCIT), Parent-Directed Interaction (PDI), with children with autism spectrum disorder (ASD). As PDI may not be appropriate for every child on the autism spectrum, the authors focus on the use of PDI with children with receptive and expressive language at or above 30 months. Unique considerations in PDI with children on the autism spectrum and PDI coaching strategies for children with ASD are highlighted.